Not Just A Student - Signed Copy! Being a student isn’t always easy. Between the pull of academics and the pressure to succeed, it is not a surprise so many feel overwhelmed. This leaves many to see themselves as just students. This book aims to challenge that idea by stating you are not just a student. As a student, you are capable of making an impact even today. Not Just A Student was written with the purpose of encouraging and enabling students of all backgrounds to find success in their fields. Whether you are a high school student ready to take on college, a college student struggling with classes, a graduate student looking to enter the workforce, or are already working in your career field, Not Just A Student will provide you with practical lessons that will help you succeed in your field. After reading this book, you will realize that you are not just a student and you will be prepared to take your life to a whole new level. 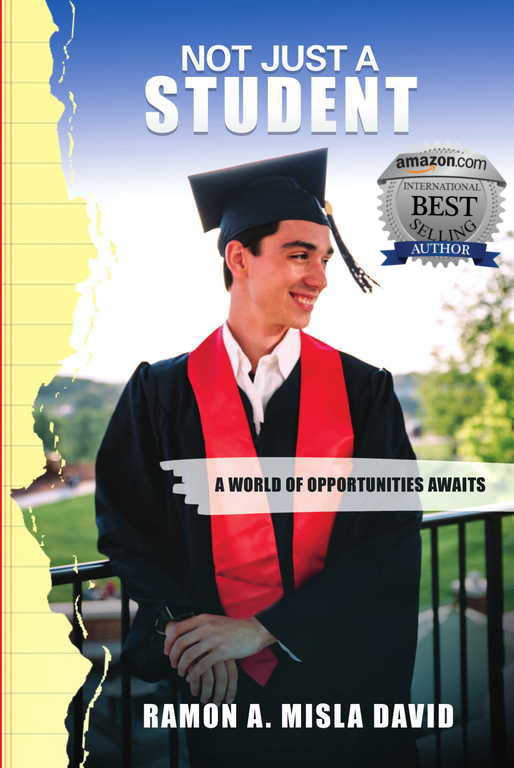 Not Just A Student by Ramon Misla David is a motivational book aimed toward students in all fields, with the hopes of providing inspiration and instilling a strong sense of purpose to students both just starting undergraduate schooling, and those preparing to move on to professional or graduate schooling. Not Just A Student is a book that every college student who is struggling to find a purpose or has some self-doubt should read. Not only will the reader receive great advice and tips on opportunities available to undergrads and how to succeed but will also learn about the accounts of a student who has just recently been through this process.